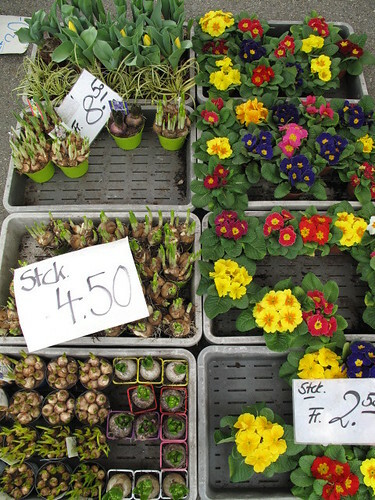 And so it was, my regular visit to Zürich’s Bürkliplatz market, of course way before 11am to avoid the- well, you know who! I chatted with a few market vendors and asked about those intimidating Market Police and the funky 11am fine. Turns out the market has a deal with local shop owners, which makes rather good sense. 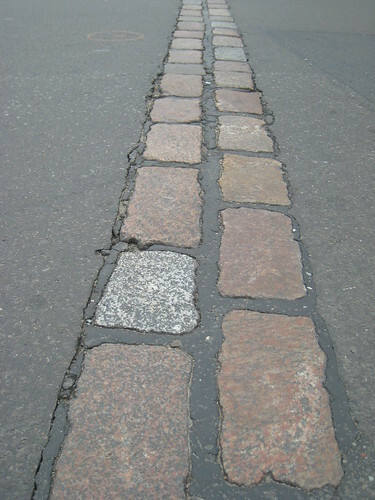 Otherwise, they would hang around all day long and potentially hurt local businesses. Now as far as the fine goes, this one had several readers wondering… just how much? 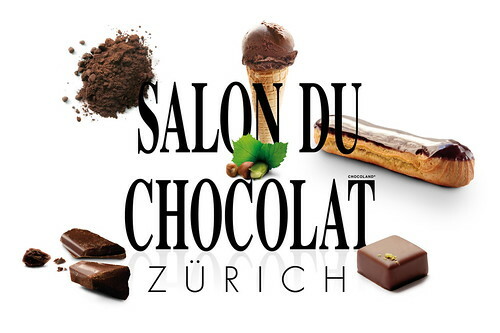 CHF 50 ! 50 Swiss Francs the first time, and if you really can’t keep your hands off those cauliflower after 11am, well the fine goes up from there! Luckily I was there real early, as is usually the case, and had plenty of time to pay a visit to my fruit and vegetable guy, swing by and pick up a rustic baguette from my bread ladies, as well as the day’s fresh catch from my fishmonger. 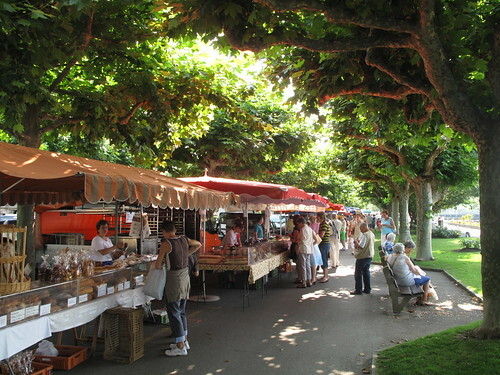 Most of all, I simply enjoyed strolling through what was a rather lively and full market. Seems that the harsh winter season is slowly saying good-bye, and plenty of flowers and seasonal produce are saying hello. 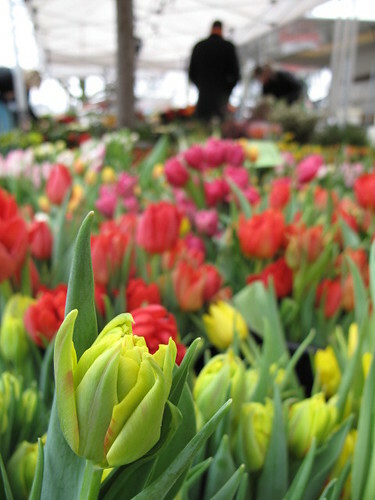 Nothing like bright tulips and promising bulbs to assure you that spring is not far away. New vegetables took center stage on the market tables as well. 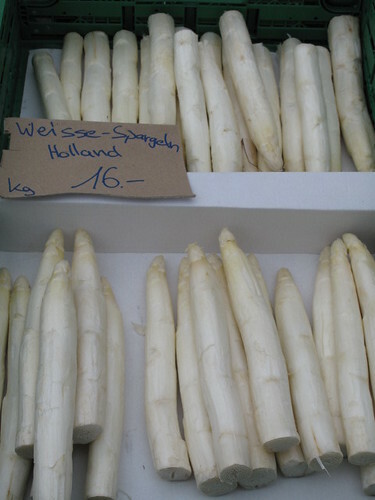 Fat, white asparagus stalks are here from Holland, and thereafter will be coming from Switzerland and Germany. 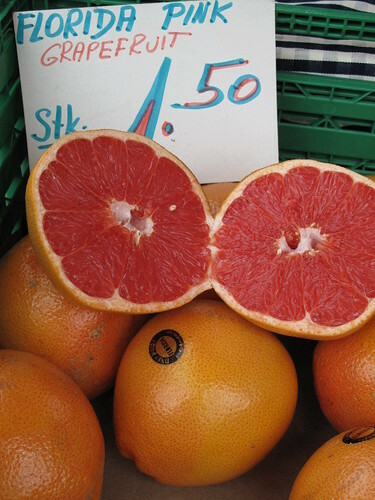 Amazingly bright pink grapefruit from some exotic place called… Florida! 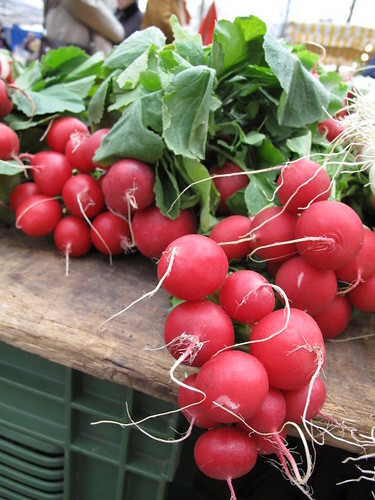 Bushels of crispy radishes with nary a bite to them. And radicchio – I had only ever seen radicchio already chopped up in a salad. 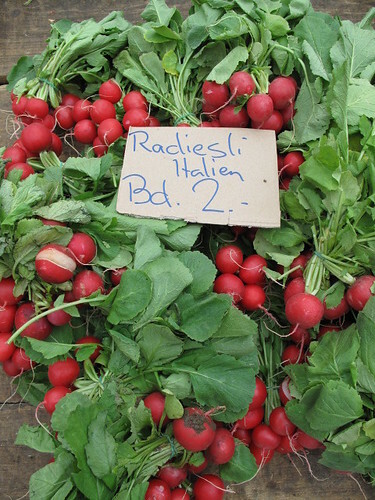 But here at the market, the Tardivo variety from Sicily looks just like a flower itself, and is apparently available only in the winter months. Also, anyone ever cook with the Friar’s Beard as in the photo, right center below? Huh? That’s the translation for Barba di Frate, the Italian name for salsola soda. 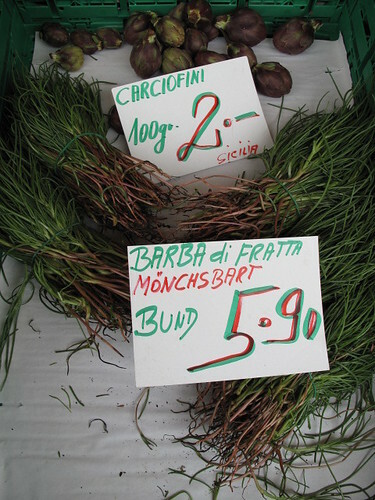 Its edible leaves are sold in bunches, and are referred to as agretti. 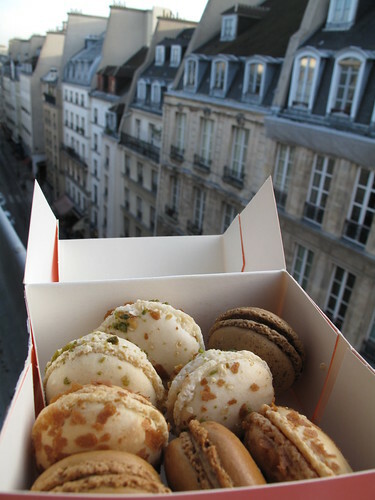 But whatever you call them, I have never bought or tasted them. Can anyone shed some culinary light on what to do with them? 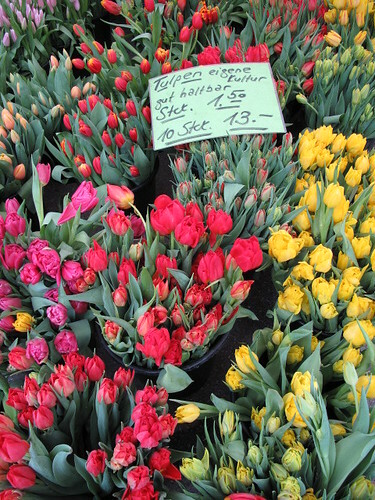 I do love the bright colors of all the tulips. 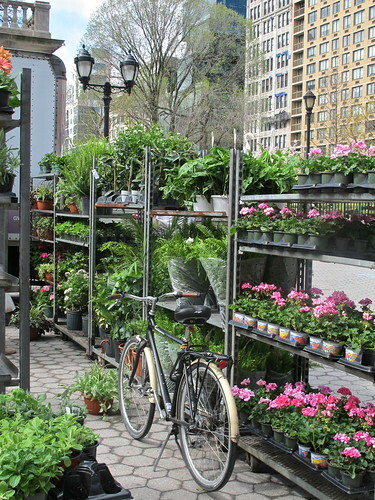 The pots of flowers are sure signs of spring…and when is that actually happening! The white asparagus look so sweet, I do want to grill them! I can actually smell the asparagus grilling on my barbeque in the backyard. Love it!!! The colors of the grapefruit just jump out and from Florida. How enchanting! that tardivo looks amazing! have you tried it? i’m curious to know what it tastes like. 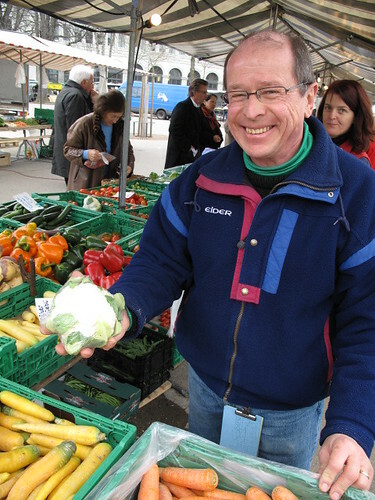 i love how happy the swiss market vendors always are. i’ve never met one who wasn’t full of fun facts and smiles. What a relief from the frigid weather in New York. For a brief moment, i felt like it was spring already. But i’ll be bundled up with plenty of layers tomorrow again. So i’ll just have to read your blog again. 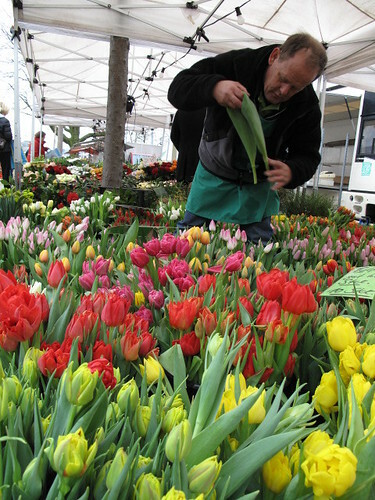 Love the colors and the upbeat spirit of your market friends. Thank them for me. And thank YOU. Love your site! 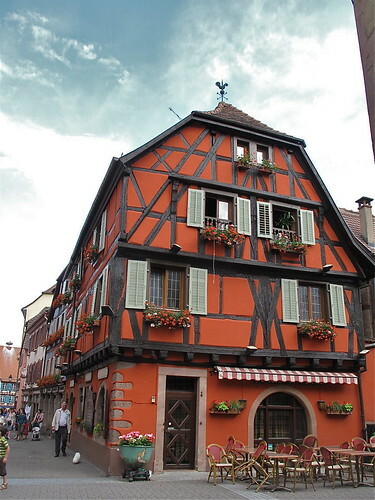 Do you solely go to market for grocery items or do you frequent Coop or Migros as well? I was there in early December and was amazed at the amt of people out and about. Growing up in NJ, you’d never have seen so many people outside. Into the car in the garage, out to the store, run in, get the goods, back to the car and back to the garage. Yikes…not sure which vendor you were at, but they were clearly marking the origin of many products falsely…One of the pitfalls of going to the market is the mislabeling which can sometimes occur… Just to set the story straight…Tardivo are so named because they are planted later than other varieties and become seasonal in late winter and early spring (very prized). They always come from the area around Venice and certainly not Sicily (they are cool-weather plants). Same is true with the carciofini…they are mostly from either the north of Italy or around Naples…not Sicily. Finally, white asparagus from Holland at this time of year is highly doubtful…the majority of early white asparagus comes from Peru. If they are from Holland, then I would really question how they were grown… Oje…sorry to point these things out, but it really bothers me when I see this sort of thing going on…Nice pictures though! Edie, good question. For the most part, I get all of my fruits and vegetables at the market. But should I miss a day at the market or need just a few things, I know that I can get very good produce at the supermarkets as well. And I absolutely go to both Coop and Migros all the time (local supermarkets here). The quality of goods is truly excellent. I often choose their own store brands over the name brands. I hope you enjoyed your trip here in early December. 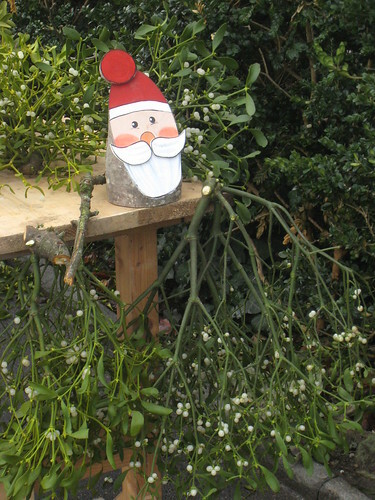 That’s a fun time to be here, just before Christmas – there are people out and about all the time. Jack, yikes indeed! Thanks for your note. I’m certainly disappointed about the potential mislabeling though; I’ll certainly have to ask at the market about that. Thank you for the information for sure, much appreciated. Meanwhile, maybe you can answer Sarah’s question about the taste of Tardivo?? Ohhhh I love a trip to the farmer’s market here. I can never resist the urge to snap away with my camera. What a beautiful post – makes me look forward to the spring even more. I am trying to grow my own veggies this year so we will see how that goes. I’ve had radicchio (what the tardivo certainly looks like) both raw in salads and cooked, once grilled and a couple of times, roasted. You can also wrap it around other veggies or meats that you’re roasting. It’s good roasted with onions and a bit of olive oil. 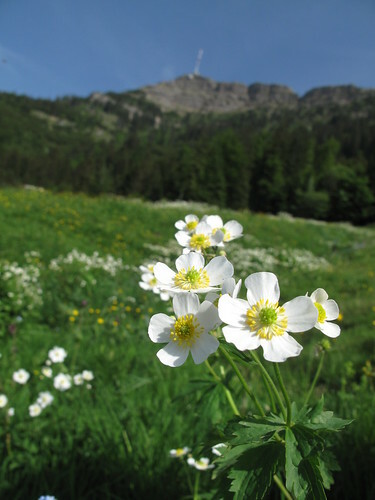 Oh, to be in Switzerland/Germany during white asparagus season!! 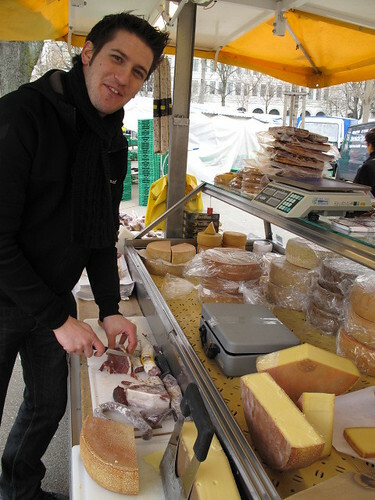 And the CHEESE….ever try Tete de Moine? With a Girolle, you can get fancy & tasty little cheese curls. Love the blog. 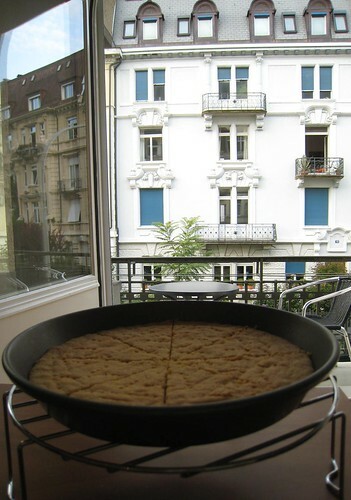 @andrea – yes, Spargel! 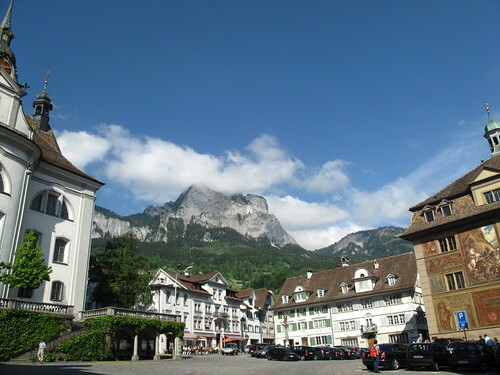 morning noon and night, everywhere… do they call it Spargel in Switzerland as well as Germany? 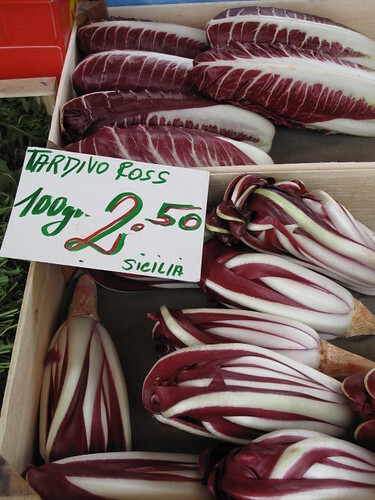 The Tardivo radicchio is known in Italy as radicchio di Treviso (a lovely town in the Veneto, about 50 km from Venice) and is not as bitter as the regular radicchio – has a nuttier milder taste. It is usually served grilled as a side dish, but I had a wonderful version in January in Venice where it came into its own – grilled and served with a mound of warm, melted Pecorino. Fantastic!!!! Aprille, let’s all hope spring is not too far away. 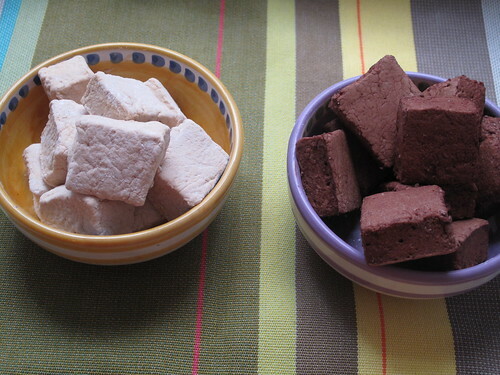 Good luck with your vegetable garden, so fun (and delicious!). jkiel, thanks for the great ideas for that radicchio ! And yes, it’s Spargel here in Switzerland. I’m with Andrea, gotta take advantage of the season for sure! I haven’t tasted Tete de Moine yet, but I’ve seen what you’re referring to. Looks pretty cool. 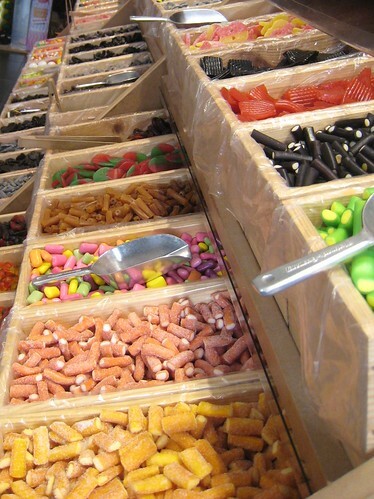 Gosh, I do have my work cut out for me… so much to taste here! Just love it. such a nice market post! i love how you’ve added the names of the sellers.